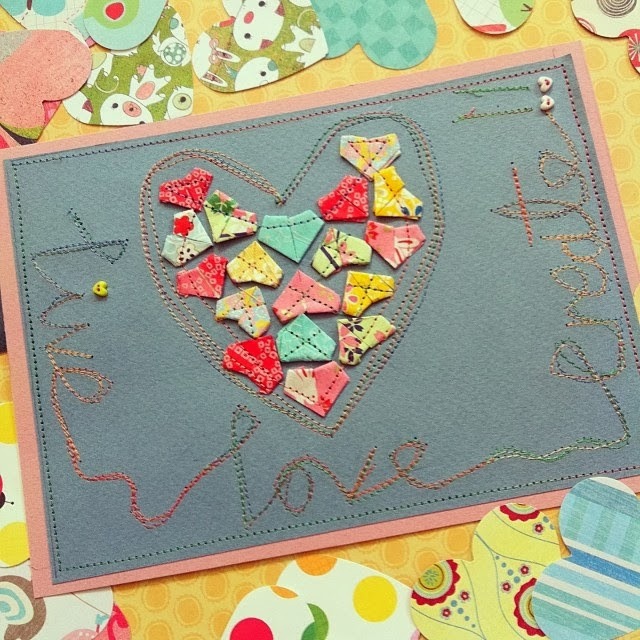 la petite chouette: Live, love, create! Well the time has flown since my last post here and let me tell you there has been many a thing going on. I won't bore you with all the details they are not so interesting but I will tell you about a little postcard swap I signed up for at the end of last month. 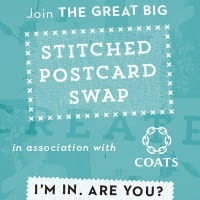 It is called The great big stitched postcard swap. I haven't done anything like this for a longtime and thought it would be fun, simple and alittle different to my usual sewing swaps. It involves creating a postcard, incorporate the theme create, use some paper and do a little sewing.....how hard could that be? Voila here it is...............live, love, create!! I hope my swap partner likes what she sees when she sees it and I can't wait to receive mine in my letterbox. Pop over to the blog Do what you love! or the FB page that has put this swap together, it is a very creative, inpiring blog to read with oh so much stuff going on.